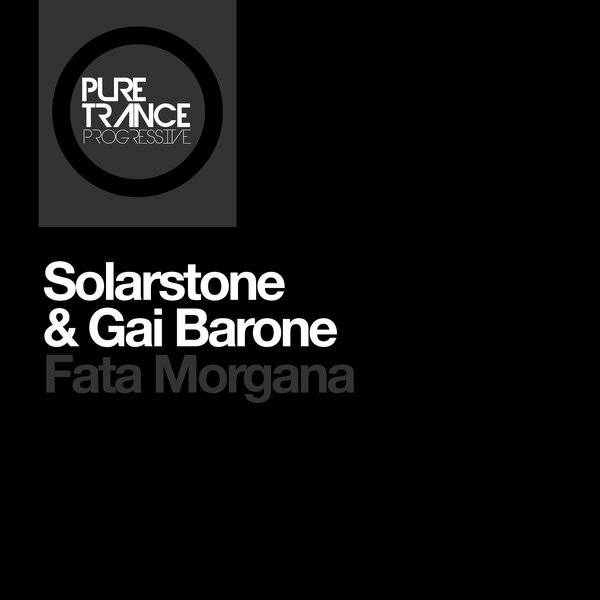 Solarstone & Gai Barone - Fata Morgana - Solarstone. Solarstone’s Pure Trance movement has helped redefine the trance landscape since it’s inception in 2012. Pure Trance Progressive is it’s newest extension, focusing on promoting the resurging deeper, slower side of the Pure Trance sound. This first release Fata Morgana is a melding of two minds, each responsible for mixing one disc of Pure Trance Vol. 4, the latest in Solarstone’s Pure Trance compilation series by Solarstone & Gai Barone. Fata Morgana fuses Gai’s 127bpm hypnotically woven tapestry with Solarstone’s precise and highly polished melodic production, resulting in something timeless.